Vala Marketing / Social Media / Should I Be Using Hashtags on Facebook? This is a difficult topic because at it’s most basic form, hashtags strategies are one of the FIRST things baby social media managers learn about and they become a topic of comfort when it’s time to start writing. However, social media is a field that changes very often and requires continual learning, updating, pivoting, and testing. This all has led to some incorrect assumptions about hashtagging, specifically on Facebook, that really need to be addressed. You SHOULD plan some research and testing with hashtags to see if your account, topic, local area, or product is an exception (ON FACEBOOK). Final Answer: Probably not, but you should be checking for yourself. And every bit of research that we have performed on the over 150 accounts we have managed here at Vala Marketing. There are several reasons why you shouldn’t be hashtagging Facebook, the primary reason is it just doesn’t work. The first reason is that people just aren’t searching for / using them for the most part. Secondly, it looks awful. While the aesthetic is something you have to overcome on other platforms like LinkedIn, Instagram, Twitter, etc – that’s not the case on Facebook since, again, they don’t work. Thirdly there are better options to add commentary than a humorous hashtag. For instance, add a laughing emoji instead of #lol, as emojis tend to increase engagement where hashtags tend to lower it. Different places, demographics, products, audiences, and topics come with wildly differing behaviors. 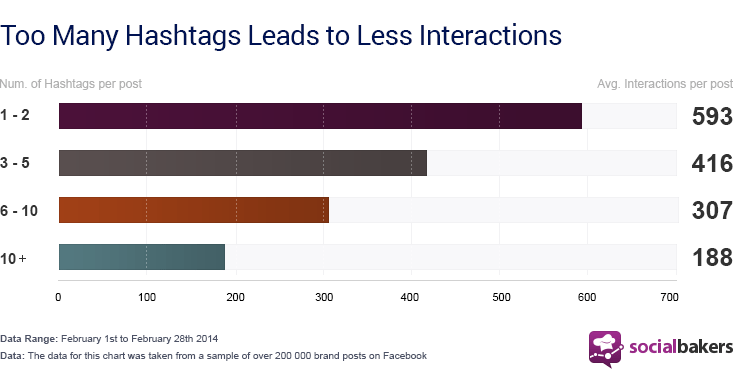 Best practices can’t always be googled – and such is the case with hashtags. 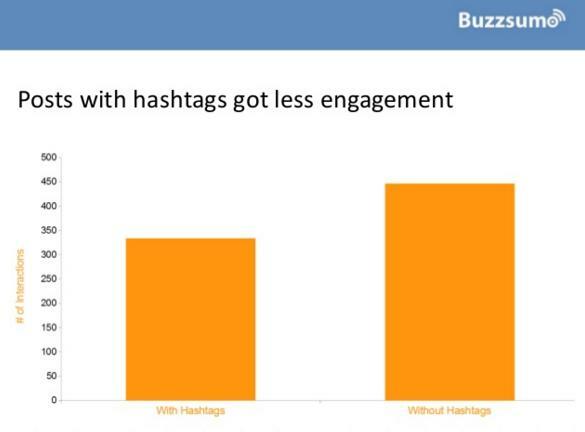 It’s not always the case that the presence of hashtags at all will always decrease engagement and reach. You can easily test this with 20-30 similar posts (type, time, content) where half have hashtags and half don’t. If you’re a more advanced user you can split test ads over a decent period of time with only hashtags as a variable and assuming you have your targetting correct, you should get results on performance. Social media changes regularly and often without warning. That’s why it can be valuable to have a partner who specializes in social media. Unlike traditional marketing, the rules can flip on their head overnight and without open ears, ability to pivot, and practice with reacting to changes you will lose valuable opportunities during the times when your competitors are still operating in the past. Hopefully this was helpful and spurs some fantastic research for you or your team.